Issued in 1996 on the Hannibal label (HNCD1393), this was the first solo album of Ms Waterson. Remarkably, it was shortlisted for the Mercury Music Prize that year (along with Oasis’s (What’s the Story) Morning Glory? and the eventual winner, Pulp’s Different Class). 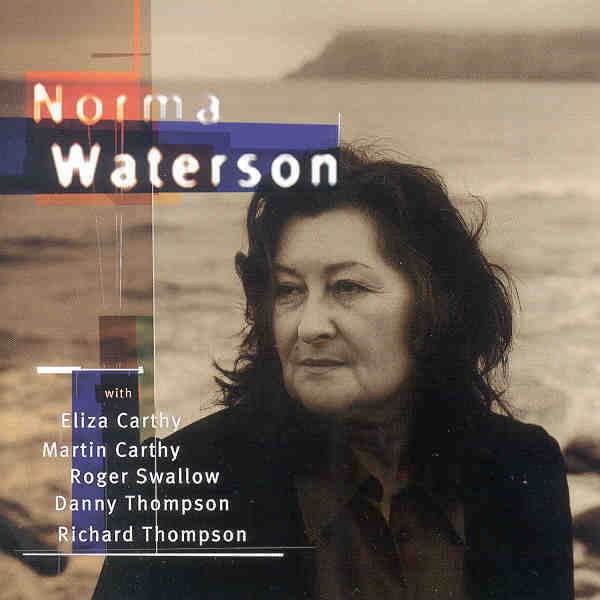 Of course Norma Waterson was no stranger to live performance or to the recording studio in the 1990s – indeed you wonder why she left it until she was in her fifties to make this album! Her career began in the mid-1960s as part of the Watersons (one of England’s finest unaccompanied traditional singing groups) and broadened out subsequntly into work with her husband (the equally renowned traditional singer and guitarist, Martin Carthy MBE) and daughter Eliza. There are several things that combined to make this project special . First of all it was recorded in Los Angeles with an American producer (John Chelew). I suspect that a big influence here was Joe Boyd who had founded the Hannibal label – which he was still running, (despite having sold it to Rykodisk) and who is credited as ‘Production Consultant’. Boyd certainly had a big reputation as the producer of Nick Drake, REM, Pink Floyd, the McGarrigles etc. The second element to the mix were the contributing musicians. In addition to her husband (acoustic guitar and vocals) and daughter (vocals and violin), Norma Waterson used British-born LA residents Roger Swallow (drums) and Richard Thompson (on guitars) plus the [unrelated] Danny Thompson (double bass). All of these had known and/or worked together for years: Swallow was in an early Albion Band with Carthy, who’d worked with Richard Thompson on projects with Ashley Hutchings and Norma’s siblings (Mike and Lal) and Thompson R. was working regularly with Thompson D. at this time In short, these were people who were comfortable with each other but who were used to walking different musical paths as well asworking together. The third part of the mix was , it goes without saying, Norma Waterson’s voice – big, expressive and rich, harmonising intuitively with her family and framed with a sympathetic and much more developed instrumental mix than I’d ever heard backing her before this. The final, perhaps most unexpected but certainly most delightful feature of the album was her choice of eleven songs which was both eclectic and inspired. Opening with the Jerry Garcia/Robert Hunter composition Black Muddy River, she went on to cover Billy Bragg (St Swithin’s Day), Richard Thompson, Ben Harper, Elvis Costello and the Norman Curtis blues number, popularised by Nina Simone, Rags and Old Iron. As if this weren’t enough the remainder included the self-penned Hard Times Heart, one from her sister’s pen and even a traditional hymn (There is a Fountain in Christ’s Blood). It’s hard to categorise this collection. It’s not ‘folkie’. or ‘rock’ it’s something in it’s own category. It’s also bloody brilliant.